In Oregon, the entry-level real estate license is the broker license. This differs from many other states, but its rights and responsibilities are similar to the real estate salesperson license available in other states. Oregon real estate brokers conduct professional real estate activities under the guidance of a principal broker. A few of the steps for real estate brokers is Oregon are different from steps required in other states, which can become confusing. 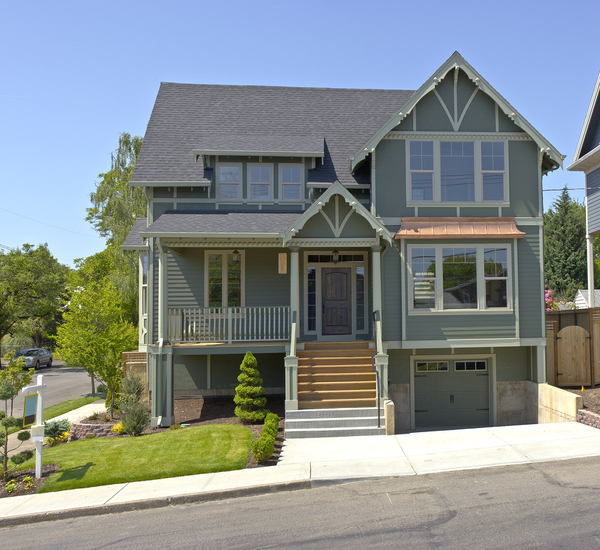 This guide will walk you through the steps of obtaining your Oregon real estate license. In order to meet the basic qualifications to become a real estate agent, you must be 18 years old and hold a high school diploma or its equivalent, such as a GED. These qualifications ensure that you are well-prepared for the college-level education that will follow. You must also create a free account with eLicense, the agency that handles Oregon’s real estate license process. This process is easy but does require a computer and Internet connection. This is the platform through which you will handle real estate license applications. In many states, submitting an application is the last step. This is not so in Oregon. You will submit a license first. In order to submit a real estate application, you must pay a $230 fee. The fee is not refundable. Submit your real estate application with accurate, detailed information. In return, you will receive an applicant identification number via email. It is important that you keep track of this ID number. Oregon requires that you obtain 150 hours of broker pre-licensing education through an agency-approved school. This includes a total of seven courses total. Education includes a combination of 30 hours of real estate law, 30 hours of real estate finance, and 30 hours of Oregon real estate practice. Additionally, you must take 15 hours in real estate contracts, 10 hours in property management, 20 hours in brokerage, and 15 hours in real estate agency. In order to attend a real estate school, you will need to provide your applicant identification number and your full name. This ensures that evidence you have completed your education is accurately organized and submitted. Courses focus on a variety of real estate topics on both state and national levels. You will learn about liens, easements, leaseholds, land use regulations, property taxes, and regulation of environmental hazards. Coursework will also focus on issues like home owners association regulations, market value, real estate appraisal, lender requirements, reverse mortgages, and financing regulations. It covers general principles of agency, including agency relationships, fiduciary responsibilities, disclosures, agent and broker responsibilities, and termination. The classes can actually get quite specific. The contracts course covers general knowledge of contracts, breach of contract, listing agreements, contingencies, counter offers, leases, and types of deeds. Practice of Real Estate is a course that covers escrow accounts, federal fair housing rules, advertising, agent supervision, general ethics, and antitrust laws. Coursework will explore real estate calculations, including basic math concepts, transaction calculations, property tax calculations, pro-rations, and depreciation. Understanding how to cater to clients looking for everything from single family homes to vacation homes is crucial to working in the real estate industry. Upon completing the education requirements, you will be eligible for the Oregon real estate exam. First, you must register with PSI (Psychological Services, Inc.). You will also pay a non-refundable examination fee that allows you to take the test. It is important to study for the exam to prepare, as it is closed book. You will learn the material as part of the real estate coursework, but study tools are helpful. You must pass the exam on the national and state level with a score of 75%. You will receive your score immediately after taking the exam on the computer screen. The national portion of the exam has 80 questions and allows 120 minutes. This section covers finance, property management, law, and real estate math. The Oregon portion of the exam has 50 questions and allows 75 minutes. This section covers real estate law and practices in Oregon. Real estate exam scores are valid for a full year. This means that you have one year after you pass the exam to complete the application process before you will be required to take and pass the test again. Next, you must submit your fingerprints and payment for a background check at the PSI testing center. This happens immediately after you pass the real estate exam, and results are obtained through the Oregon State Police and Federal Bureau of Investigations. Once this process is completed, you have one year to complete the application process. The background check is meant to determine whether or not you can be a trusted member of the real estate community. While the presence of a criminal background does not automatically mean you cannot become a real estate broker in Oregon, it does mean that the commission will consider the factors involved. The commission considers the nature of the offense as well as how long ago it occurred. In order to work as a real estate broker in Oregon, you must be sponsored by a principal broker. This principal broker will supervise your work as a real estate broker and help you adjust to your new career path. When you complete the application process, you must also provide evidence that you have the support of a principal broker. Once your background check clears and you have found a principal broker to work with, you will receive your real estate license. Once you receive final review of your license, you will receive an email when it is issued. You will then be able to work as a real estate broker anywhere in Oregon. Your final step is to take continuing education courses in order to renew your license and keep it active. Continuing education keeps you up to speed on new trends and changes in Oregon’s real estate principles and practices. Contact us for more information about taking real estate courses in Oregon. When you consider a career in real estate, you are awarded many options. If you intend to become a real estate agent in New Jersey, you may have questions specific to your state of interest. This guide will answer some of the most commonly asked questions by potential and new real estate agents in your state. 1. What Are the Requirements for Becoming a New Jersey Real Estate Agent? New Jersey real estate agents are required to be at least 18 years old and hold a high school diploma or its equivalent. You must also complete a 75-hour pre-licensing course at a state-approved school. Finally, you must pass the real estate license exam, which has state and national components. 2. Does New Jersey Offer License Reciprocity with Other States? No. New Jersey does not have any reciprocal agreements with other states. This means that if you have a real estate license in another state, you must still complete all licensing requirements in New Jersey. 3. How Do New Jersey Real Estate Agents Renew their Licenses? New Jersey has a two-year licensing period. During this time, all real estate agents are required to complete 12 hours of continuing education coursework. There are two options for this coursework. The first option allows real estate agents to take courses that break down to two hours of ethics, four hours of core courses, and six hours of electives. The second option allows for 12 hours of real estate ethics coursework. 4. What Happens if a Real Estate Agent Fails to Complete Renewal Requirements? New Jersey real estate agents who fail to complete the respective renewal requirements by the deadline become inactive real estate agents. In order to begin working as real estate agents again, these individuals are required to reinstate the license. You are allowed to have an inactive license for two years. Ready to start handing over keys? It’s time complete your real estate requirements. 5. What Happens if You Lose Your Real Estate License? If you lose your real estate license as a New Jersey agent, you are required to notify your employing broker. He or she must then submit a request for a duplicate license through the New Jersey Real Estate Commission via fax or mail. The commission will send you a new license at no additional cost. 6. What Are Character Requirements for Becoming a Real Estate Agent in New Jersey? In order to become a real estate agent, you are required to meet certain character requirements. According to the real estate commission, you are required to possess good character, honesty, and a trustworthy reputation. You are also required to submit your criminal history on a regular basis. Licensure is not permitted for any individual who has convictions including theft, robbery, forgery, or burglary within five years before applying. It is important to be honest about your criminal history, as lying could also prevent you from obtaining your real estate license. Finally, make sure to keep up with your continuing education requirements. This means that you will never find yourself behind on meeting renewal requirements. Contact us for more information about meeting your continuing education requirements. The first few months and sometimes even years can be difficult to enjoy with any occupation, but this is especially true for real estate agents. Getting acquainted with your new position is no walk in the park, but this does not mean that you cannot enjoy your time. Becoming used to working as a real estate agent, whether you are still considering the job or are already in the field, takes time. 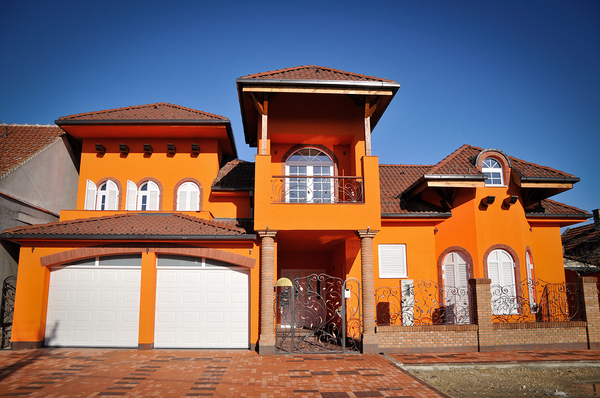 As you gain experience working as a Missouri real estate agent, you will learn so much. In the meantime, the answers to these frequently asked questions will guide your path. 1. What Does the Missouri Real Estate Commission Do with My Fingerprints? Every real estate agent in Missouri must submit fingerprints for a background check. The information gleaned from your fingerprints will be stored and compared with MSHP and FBI records. If certain types of criminal convictions, like theft, burglary, or forgery, show up in recent years, the commission may decline your real estate application. You must be honest about any criminal convictions in your past when you submit your real estate license application. Failing to disclose your history honestly may lead to denial of your application as well. 2. 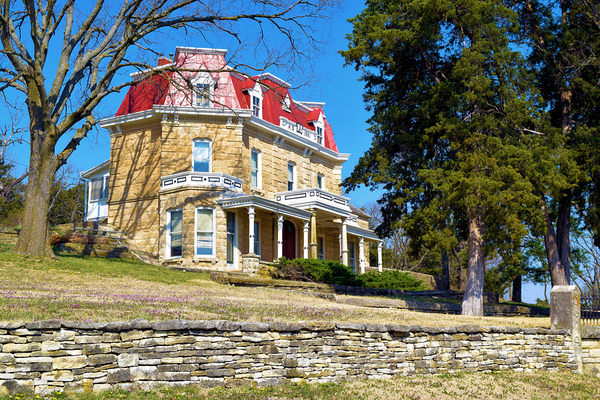 What Are the Requirements for Obtaining a Missouri Real Estate License? In order to obtain a real estate license in Missouri, you must complete a 48-hour pre-licensing exam before you take the exam. You must also take the national and state real estate examination within six months of fulfilling the coursework obligation. Additionally, you must be willing to be fingerprinted. 3. How Do I Apply to Take the Real Estate Exam? Applied Measurement Professionals, Inc. (AMP) administers the Missouri real estate agent and broker exams. You can sign up for the exam through the AMP website, which will ask that you provide your full name, address, phone number, birthdate, and social security number. You also need to supply information about the school through which you took the required courses. Armed with a solid education, you can provide a discerning buyer with the right information to make a smart decision. 4. What Should I Do if I Move or Change My Name? If you move and need to notify the Missouri Real Estate Commission of your new address or a name change, you can submit the online application available online. You can submit the application online, by mail, or via fax. You will not receive a new real estate license unless you submit your old license with a non-refundable $25 fee. Missouri real estate license holders must renew every two years. In order to do this, you must complete at least 12 hours of continuing education during the renewal period. The courses must be approved by the Missouri Real Estate Commission. Three hours must be core credit coursework, and the remaining hours may be core or elective courses. Real estate education is an important part of continuing to work as a real estate agent. Are you looking for more information about earning or renewing your Missouri real estate license? Contact us for more information about pursuing your goals. Virginia is a wonderful place to work and live, and your role as a real estate agent helps other people realize this too. When you become a real estate agent, there is a lot to learn. Even when you read the handbooks, it is possible that you still have questions. This guide will present some of the common questions and answers that pop up concerning prospective and new real estate agents in Virginia. 1. What Requirements Must I Complete within My First Year as a Salesperson? Within your first year working as an active salesperson, you are required to complete 30 hours of post-licensing education. If you fail to complete this education, you may be placed on inactive status. This means you will not be able to practice as a real estate agent during this time. The post-licensing program consists of eight separate courses. Coursework includes topics like fair housing, civil rights, real estate law, ethics, current industry issues, contract writing, agency law, Escrow requirements, and risk management. 2. How Do I Become a Real Estate Sales Agent? In order to work as a real estate salesperson, you must first complete a 60-hour principles course. You are then required to pass a national and state examination. You can register to take the examination through PSI. If you pass both parts of the exam, you can submit your real estate sales application for board approval. 3. How Do I Become a Real Estate Broker? Virginia real estate brokers are required to complete a course consisting of 180 hours of broker-related topics. You are also required to complete national and station portions of the broker examination. Additionally, you will need to submit verification of your experience as a real estate salesperson. You need to demonstrate that you worked as a salesperson for 36 out of the last 48 months. The broker-specific courses include law, finance, appraisal, economics, investments, and lending. These topics prepare you for working as a broker. 4. If I Am Licensed in Another State, Can I Become a Virginia Real Estate Agent? Yes, Virginia does have a reciprocity agreement with other states. While you do not need to complete the education requirements in Virginia, you must demonstrate that you have taken 60 hours of coursework in a principles of real estate course. You must also pass the Virginia portion of the real estate exam. The real estate commission will also ask that you submit certification letters. From brick colonials to new condominiums, education helps you understand how to sell to each type of client. 5. How Do I Change My Information with the Real Estate Board? If you have changed your name or address you can report the changes online. You can log in to your personal profile for easy access. If you are changing your name, be sure to provide a copy of your official documentation to verify this. If you do not currently have Internet access, you can submit physical forms through the mail, but you still need to provide verification of your changes. 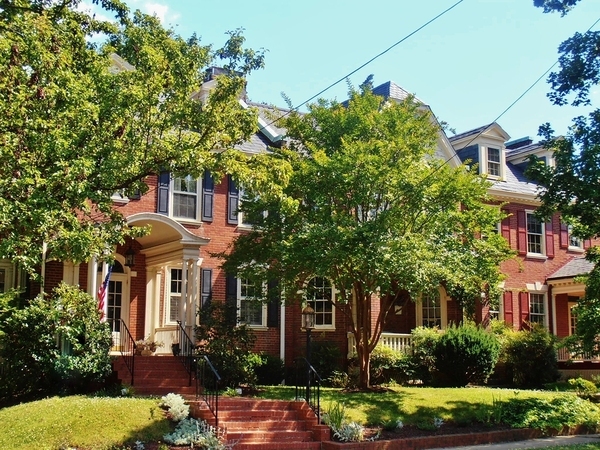 Do you have questions about selling homes in Virginia? Are you curious about the continuing education options available to you? Contact us for more information about your future in the real estate industry. New Hampshire real estate agents are focused on much more than getting to work each day. Whether you are already working as a successful sales agent or you are still on your way there, you are sure to have many questions about becoming and working as an agent, especially in the first couple years. If you have questions about working as a New Hampshire real estate agent, this guide will answer some of them. 1. How Do I Renew My Real Estate License in New Hampshire? New Hampshire real estate license renewals are offered online through the New Hampshire Real Estate Commission. You will also need to submit payment to renew your salesperson’s license, which is $90. If you send a check, you can make it payable to the Treasurer, State of New Hampshire. In order to renew your license, you must take required coursework. While the commission offers a list of courses you can consider, some course topics include fair housing, commercial real estate topics, tiny houses, landlord laws, real estate risks, short sales, taxes, and ethics. 2. How Do I Take the Real Estate Licensing Test in New Hampshire? Testing is administered through AMP. New Hampshire has four testing centers: Concord, Manchester, Portsmouth, and Nashua. When you register through AMP to take the test, you must also pay a salesperson examination fee of $155. This payment may be made via cash or check. When you arrive at the testing center, you must bring two forms of identification. One form of ID must be issued by the government and offer your full name, photo, and signature. ID may include a passport, driver’s license, or military ID card. 3. What Are the Requirements to Become a New Hampshire Real Estate Salesperson? Candidates for a real estate salesperson license must complete 40 hours of study before taking a state and national exam. Once you pass the exam, you can submit an application and fingerprints for a background check. 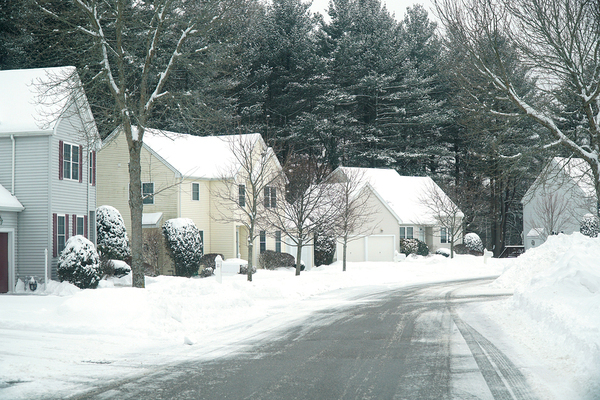 Snow or shine, New Hampshire homes stand out among others in the nation. So do the state’s real estate agents. 4. What Is on the New Hampshire Real Estate Exam? The New Hampshire real estate exam consists of two portions: state and national. For both portions of the test you will have 3.5 hours to finish, and the portions are not separated within the test. The national portion will include seven major topics within 100 multiple-choice questions. The state portion includes 40 questions that apply strictly to New Hampshire real estate law. Questions pertain to the New Hampshire real estate commission, licensure, agency conduct, licensee conduct, and New Hampshire principles and practices. 5. What Happens If I Fail My Real Estate Exam? If you do not pass the real estate exam, you must retake the portion you failed again. You are allowed to take the test eight times in one year. If you are unable to pass within the year, you must attend pre-licensing courses again. There is so much to learn about real estate, no matter where you live. Continuing education is meant to help you move forward in your real estate career. Contact us for more information about New Hampshire’s educational requirements. Montana is a fantastic place to work as a real estate agent. If you are still trying to get your feet wet in the real estate industry, you need to know what to expect. The answers to these frequently asked questions will help you as you move along in the field. 1. How Do I Renew My Real Estate License? The renewal process in Montana is determined by the Board of Realty Regulation. The board has determined that all real estate licenses expire on October 31st of each year. Within 60 days of this expiration date, you are eligible to renew your license. The earlier you renew your license, the easier you can have peace of mind. In order to renew your license, you must meet continuing education requirements. Active real estate salespersons are required to complete 12 hours of education each year. If this is your first year renewing, you must complete a rookie course. 2. How Do I Obtain a Real Estate Salesperson License? If you want to become a real estate salesperson, you are first required to take required education. This includes at least a 10th-grade education and 60 hours of pre-licensing coursework. Courses must first be approved by the real estate board. Real estate candidates must take the real estate exam and receive a passing score. You must also submit a licensing fee of $150 when you turn in your application. 3. What Are the Requirements to Become a Montana Real Estate Broker? If you want to become a real estate broker, you must possess two years of experience as a licensed real estate salesperson. You must also have passed a Montana broker exam with a score of 80% on both the federal and the state portion. Within three years of submitting an application you must also complete 30 residential transactions and 10 commercial or agricultural transactions. 4. How Do I Register for the Montana Real Estate Sales Exam? You can register to take the real estate sales exam through Go Amp. You will need to provide evidence that you have completed your real estate education and pay a $106 fee. You will need to travel to Billings, Great Falls, or Missoula to take the test, so make sure to schedule your trip accordingly. 5. What Should I Expect from the Montana Real Estate Exam? The Montana real estate exam consists of two portions: national and federal. The test consists of 28 questions about agency relationships and contracts, 13 questions about real property ownership, 14 questions about finance, 14 questions about real property, 10 questions about marketing regulations, 8 questions about property management, and 13 questions about real estate calculations. The candidate handbook for the examination contains practice questions that will help you study for the day of the test. The variety in homes available in Montana makes it all the more important to learn exactly how to sell each one. 6. What Kind of Courses Can I Take to Meet Continuing Education Requirements? The Montana real estate board must approve all course topics. Topics may include issues like agency, agriculture, consumer tax, ethics, data security, land use planning, finance, conflict resolution, risk reduction, fair housing, energy conservation, and real estate law. Are you looking forward to a career change or expansion of your current duties? We can help you. Contact us for more information about continuing education requirements in Montana. Becoming a real estate agent in Maine is a multi-step process. While you must first work as a real estate sales agent, you are required to obtain a license to work as an associate broker once the license expires. This requires dedication to the industry, but it also means you have to understand the field from the inside out. It is not uncommon for new or prospective real estate agents to have questions. The answers to these frequently asked questions will help you plan and conquer your real estate career. 1. How Do I Take the Maine Real Estate Exam? Once you have taken and passed the real estate sales agent class, you are eligible to sign up for the exam through Pearson Vue. In order to take the exam, you must bring two forms of valid identification and the course completion certificate. In Maine, the exam is administered in both Bangor and Westbrook. 2. How Do I Submit an Application for a Real Estate License? First, you need to fill out the licensing application, either on paper or online. Make sure to also submit the results of your real estate exam and your course completion certificate. Along with your application you must also submit payment of $121. If you are writing a check, make it payable to the Maine State Treasurer. 3. Do I Need to Renew My Sales License? No. If you are a real estate sales agent in Maine, you cannot renew your license. Instead, you must work toward achieving an Associate Broker real estate license. In order to do this, you do need to meet continuing education requirements. 4. What Can You Do with the Online Real Estate Portal? Thanks to the Main Real Estate Commission’s online real estate portal, you can perform a number of activities. These include making changes to your contact information and renewing your associate broker’s license. You can change your current license, like to activate or change agency affiliation. You may also be able to request a copy of your real estate license. 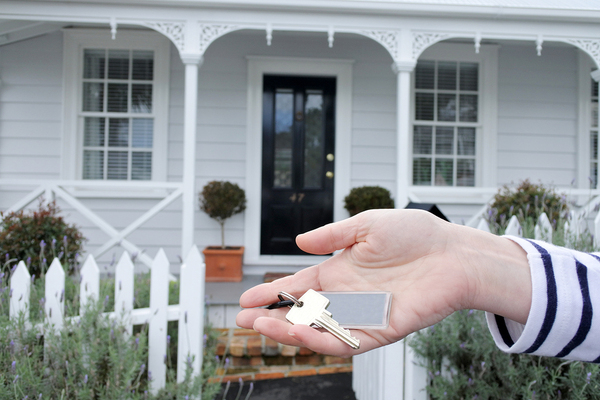 Get ready to hand over the keys to new homeowners thanks to your newly developed skills and knowledge. 5. Can I Take Courses in Other States for My Maine Real Estate License? In some cases, courses may count toward your Maine continuing education requirements. In order for this to happen, you must submit an application for the courses in addition to a fee. The commission will then determine if your courses are approved and how many hours of credit you have earned. 6. What Happens if I Don’t Renew My License in Time? Renewal is required regularly for your Associate Broker license. If you have failed to take the required continuing education courses in time for your license’s expiration date, you will have 90 days in which you may complete coursework. You may then renew your license with an additional late fee. Unfortunately, you will not be able to work in real estate while your license is expired. Are you ready to work in real estate? Are you trying to accumulate credits so that you can renew your license to work as an associate broker? Education is the key. Contact us for more information about taking real estate courses that will help further your career. 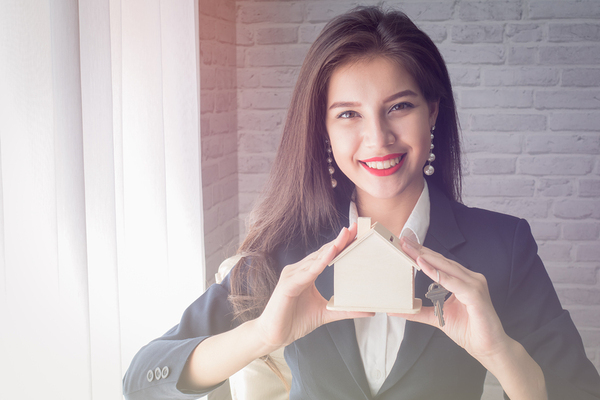 While any new job can make you feel like you are taking on the world, becoming a real estate agent can be all the more difficult with the added process of pursuing education along the way. This collection of common questions will help you determine your next steps in working as an Indiana real estate agent. 1. How Do I Become a Real Estate Agent in Indiana? The first requirements you must meet to work as a real estate agent include being at least 18 and having a high school diploma or its equivalent. You must also complete at least 90 hours of pre-licensing coursework. Finally, you must pass a real estate licensing exam. The exam focuses on both national and state principles and practices in the real estate industry. 2. Does Indiana Hold Reciprocal Deals with Other States? No, Indiana does not have any agreement with other states to allow those with real estate licenses elsewhere to work in Indiana. On the other hand, you may qualify for a real estate license in Indiana if your state has similar licensing requirements. 3. How Do I Apply to Take the Real Estate Examination? In order to take the real estate exam, you must first reserve your spot and pay for the test through Pearson Vue. From there, you will be eligible to locate testing centers, pay for testing services, and schedule the perfect date and time for your test. You may also be able to view your exam results through the web portal. 4. Is There a Way to Waive Continuing Education Requirements? If you want to renew your real estate license, you need to complete continuing education courses. In some rare cases, you may be able to waive the educational requirements. The waiver is available only if you were an active member of the military or if you experienced a severe illness that influenced your ability to work. 5. How Do I Renew My Indiana Real Estate License? You are required to complete 12 hours of continuing education coursework each year in order to renew your real estate broker’s license. This education allows you to focus on a niche to specialize your industry. Once you complete your requirements, you can log in to submit the form through Indiana’s licensing website or print out and mail the physical form. The perfect buyer for recently listed Indiana homes is waiting for your expertise to guide them. 6. How Do I Reinstate My Indiana Real Estate License? If you choose to reinstate your real estate license after it has been expired for less than three years, you can renew your license online. If your license has been expired for longer than three years, you need to complete a reinstatement form to become an active real estate broker again. You will also need to submit a fee of $120 and fulfill a requirement of 36 hours of continuing education coursework within the three-year time period. Again, you will need to complete the real estate license exam. In order to meet continuing education requirements for renewal or reinstatement, you need to figure out where you want to take your courses. Contact us for more information about taking real estate courses that will help you develop your career.